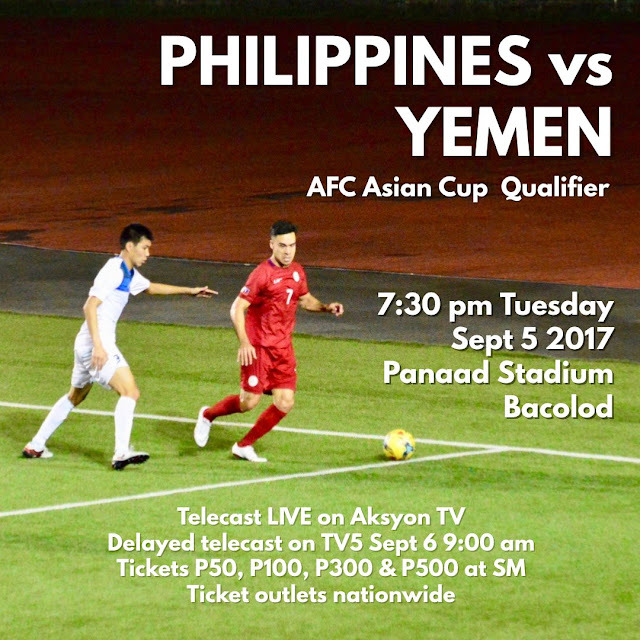 Check ou the ticket prices for the Azkals team vs Yemen National team in AFC Asian Cup Qualifier game. You can avail tickets at SM Ticket outlets nationwide or watch the game live on AKSYON TV at 7:30 PM on September 5th or watch the delayed telecast on September 6 9AM on TV5. Games will be held at Panaad Stadium in Bacolod.